Paul Richardson put together an impressive motion time-lapse tour of London — capturing the pulse of one of the world’s most beloved and busiest cities. The project took him eight days and 200 miles of biking (while carrying 48 lbs of camera equipment) to capture 18,000 photos for the first rough cut. He used a Canon EOS-6D full frame camera plus the EF 17-40mm f/4, EF 50mm f/1.8, and the EF 70-200mm f/4 lenses. Motion sequences were shot using a home-built dolly and an Emotimo TB3. As he explains in his video, Restless Nights is about capturing “The true 24/7 nature of bustling London. It really is a place that never sleeps." The Mk III features a Rate button on the left of the rear LCD screen that has been designed to make it easier to find images when editing. In general, when shooting, you know when you have taken a good frame. 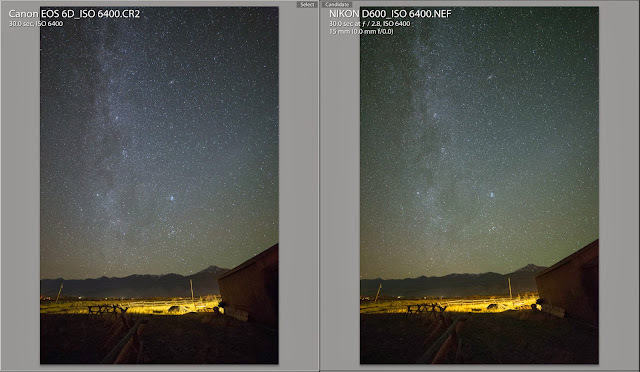 However, if it is in a sequence of similar images, finding it again while editing can take a little time. By using the Rate button on the EOS 5D Mark III, you can add a 1-5 star EXIF compatible rating so that when you come to sorting your pictures out later, your best images are easier to find. Those you have tagged will be at the top, and while you don’t want to miss the action looking at the back of the camera rating images, a single press of the Rate button in playback gives a star rating that can be easily done in the downtime between the action. If you plan on using the in-camera multiple exposure capability in cameras such as the EOS 5D Mk III, you need to remember where exactly the image elements are in relation to each other. For example: overlaying the moon on a landscape. To make this easier, use the viewfinder grid and the focus points to provide a visual reference of where subjects are from previous images, relative to the current image you are creating. 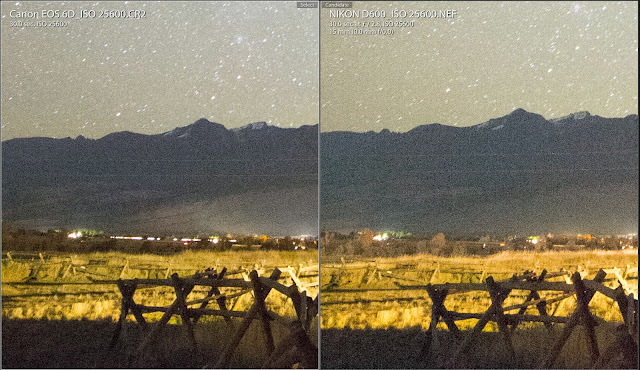 With the EOS 5D Mk III, Canon introduced compression settings in the Movie shooting settings to go along with the resolution and frame rate selection. The two options are IPB and ALL-I. Essentially, IPB is a compressed setting, a lot like the files from an EOS 5D Mark II, whereas ALL-I is an intra-frame codec where every frame is treated as a key frame and uncompressed. ALL-I footage will be around three times larger than IPB. Which you choose will depend on your needs. If you need to keep file sizes down, then IPB is the best choice. However, for almost all other uses, ALL-I is the best choice because the resulting footage is easier to edit on lower powered computers and produces better image quality by allowing you to edit more accurately on a frame-by-frame basis. 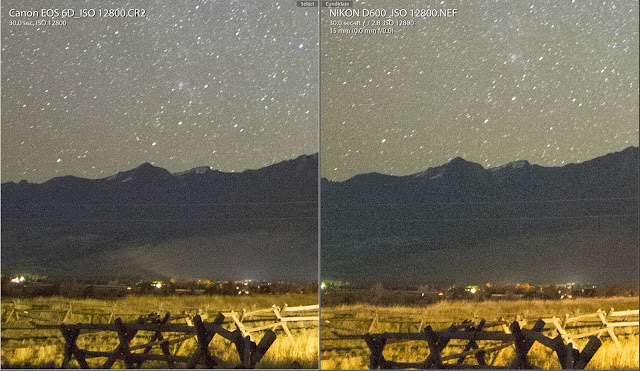 If you want to create HDR images using an EOS 5D Mark III, this can be done in-camera. Within the camera settings for HDR, there are options for shooting with 1, 2 or 3 stops of exposure bracketing. While all three settings can work well, if you plan on using one of the “Art” settings for combining images, you will find the best results are obtained by keeping the exposure bracketing range to 1 or 2-stops rather than the full 3 stops, though it is worth experimenting to see what suits your taste. If you find yourself regularly changing settings on the camera accidentally while moving around, then making use of the multi-function lock can avoid issues when you come to shoot in a fast-paced environment. The lock switch below the quick command dial can be used to lock the main dial, the multi-controller or the quick control dial – simply select which you would like to lock through the custom function in Group 2 Disp./Operation. When you come to change a setting, you may see L displayed in the viewfinder and on the top LCD panel. If this happens, you will be unable to change the setting because the multi-function lock is set. Simply flick the switch and the camera will return to normal. Using the C Modes on the EOS 5D Mark III makes it very easy to set up three different camera settings ready for instant recall – for example, C1 might be for movie shooting with the appropriate shutter speed set for the frame rate you record at while C2 might be an instant switch to Tv mode with a fast shutter speed set ready to capture action at a moment’s notice. However, since you may have three different shooting modes set (one in each C Mode) it can be difficult to remember exactly what is where. If you need to find out quickly, then pressing the INFO button to display the camera settings will show you which shooting mode is registered on each of the C Modes. 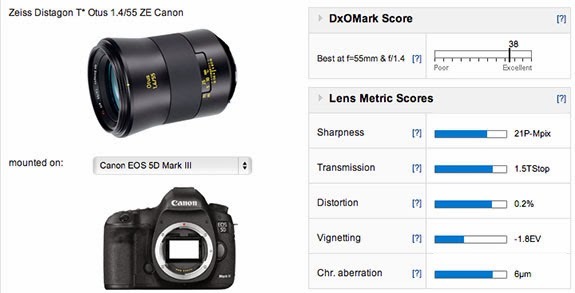 The menu structure of the EOS 5D Mark III offers quick navigation by grouping settings into tabs and sub-tabs. However, with the sub-tabs, moving from one major group to the next can require several clicks of the dial or nudges on the multi-controller. If you need to move between major tabs quicker, you can make use of the Q Button. Located just above the quick command dial on the back of the camera, pressing this will jump you from one major tab to the next, thus speeding your movements through the menu system. When shooting HD Movies with a DSLR, the general rule is to set your shutter speed based on your frame rate and then don’t change it during filming. By default, the shutter speed settings are made using the main command dial behind the shutter button, though it is possible to switch it to the quick command dial using the Custom Controls if that suits you better. Either way, to avoid the shutter speed being changed accidentally, it is advisable to make use of the Multi function lock switch. In C.Fn2 there is an option to choose which control the switch locks - set this to lock whichever of the dials you use for setting the shutter speed and you can then be sure you won’t accidentally knock your settings. When checking the battery life of an LP-E6 battery in the EOS 5D Mark III menu, you may see a message saying “Use this battery?”. If this happens, it usually indicates an issue with the battery or the communication between the battery and the camera. However, it doesn’t mean you can’t continue using the battery. If you select ‘OK’ you will be able to keep on shooting, but you may not be able to see the battery info screen and if you can, you need to be careful in relying on what it reports as it could be wrong. The best option, if you see this message, is to ensure you have a spare battery with you in case it runs out suddenly. The world’s largest camera maker is singing the blues. It predicted the first drop in sales of DSLR models as consumers switch to smartphones to take photos. Smartphones are eating into digital camera sales as companies such as Apple Inc. and Sony Corp. release new handsets with stronger built-in lenses and sensors to lure shoppers. The value of worldwide camera shipments dropped 19 percent in August from a year earlier, a ninth consecutive monthly decline, according to the Camera Imaging Products Association in Tokyo. Annual net income will probably drop to 240 billion Yen for the year ending December, the Tokyo-based company said in a statement recently, another drop from its earlier forecast of 260 billion Yen. The company also reduced its estimate for operating profit to 360 billion yen for the year, from 380 billion yen, predicted a few months ago. Annual sales will be 3.75 trillion, down from an earlier projection of 3.85 trillion. 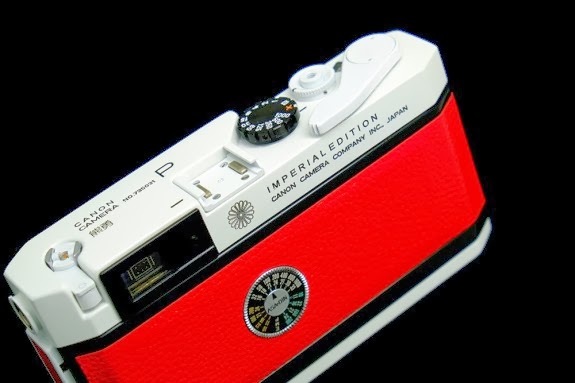 The impact of lower camera sales is being cushioned partly by cost reductions at Canon and a weaker Japanese Yen. The lower currency boosts the repatriated value of Japanese exporters’ overseas earnings. On the brighter side of things, Canon is still a very profitable company. It ranks 35th on a global list of 100 best companies. Nikon is not even on the list. Nikon’s stock is down dramatically, almost 24% year-to-date and is the worst underperformer in the Nikkei stock index this year, while the benchmark has rallied nearly 49%. The stock market capitalization of Canon Inc. is over 6 times that of Nikon Inc.
Canon has definitely come to a fork in the corporate road. They must decide whether to follow the crowd and aim for the 'lowest common denominator' and continue to discount their products and offer fluffy technology like mirrorless, full frame cameras and retro styling. The alternative is adhere to superior technology and design, accompanied by small price adjustments and maintain its profitability. I am a keen follower and observer of this company. Keep checking back for the latest news and information. Remember the Canon EOS-M line of mirrorless cameras? 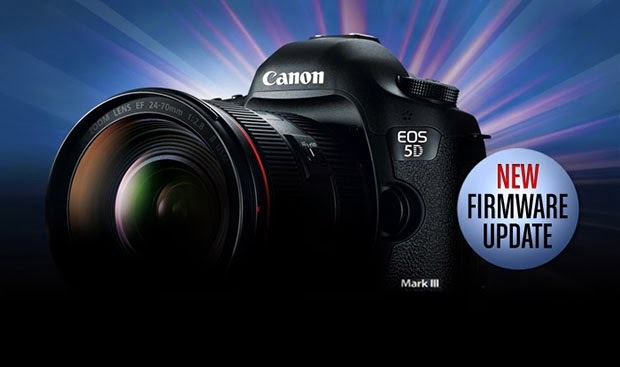 Although this camera is not as successful as the Canon Rebel, EOS-5D and EOS-6D lines, Canon has not given up hope yet. Management realized the weakness of the EOS-M and has tried to remedy the situation, revive the entire line and give it another go. On June 27, 2013, Canon released Firmware 2.0 to dramatically increase the AF speed and capability of the camera. The next EOS-M camera apparently will be called the EOS-M2. There may be two models. One is a basic model and the other one is a higher end product, complete with a viewfinder and new AF system. Both models will feature the DIGIC 6 processor and may share the same 20MP APS-C sensor as the recently introduced EOS-70D camera. In the meantime, for those who are happy with their current EOS-M camera, but perhaps find it too small for their hands, there is a custom grip available from Japan. Click on the previous link to visit the site. More signs Canon is coming out of its funk, regrouping in 2014 and starting the New Year with exciting product announcements. A recent 'high level' dealer presentation in Tokyo suggests there will be at least two new full frame DSLR cameras coming next year, in addition to other cameras and EF Lenses. 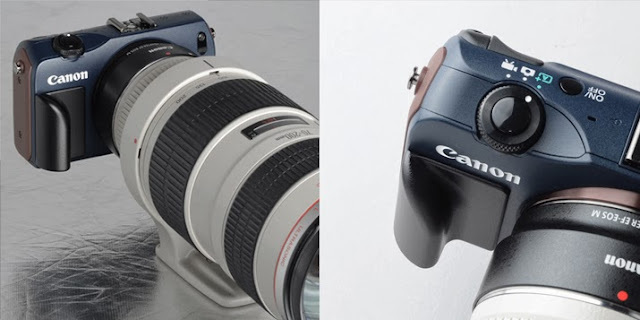 The 2014 Winter Olympics and World Cup are two big sporting events that will highlight Canon's technological prowess in state of the art photography and the EOS-1D Mega Pixel Camera will be the premier announcement event for them. This camera is the replacement to the retired EOS-1Ds Mk III and may be announced after the sporting events (the second half of 2014, but expect to see prototypes at the games) with delivery commencing early 2015. The second full frame camera will be the EOS-5D Mk IV. The current Mk III model is highly successful and Canon plans to make it even better but I hope they will not make the same mistake and underprice the new Mk IV. The new mega pixel EOS-1D camera will probably retail for about the same price ($8000) as the old EOS-1Ds Mk III. In addition, the EOS-7D Mk II is also coming out next year, plus an assortment of PowerShot and Rebel replacements. It will be an exciting year and I am beginning to feel a revival of a 'sleeping giant.' 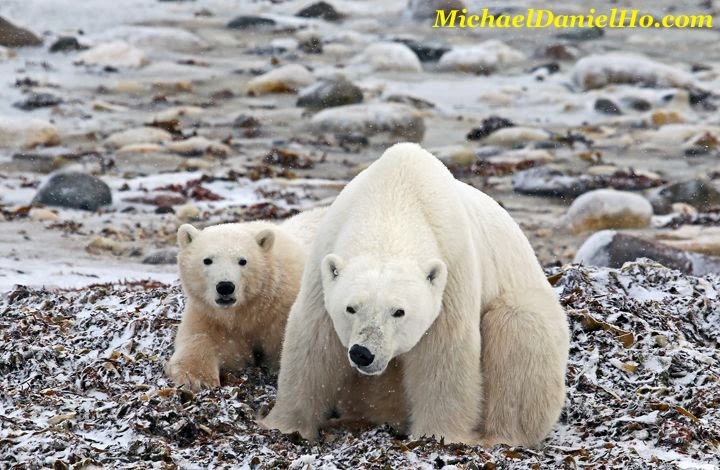 I have been a Travel and Wildlife photographer using Canon equipment for 25 years and you can see my works on MichaelDanielHo.com. Keep checking back for the latest rumors and news. 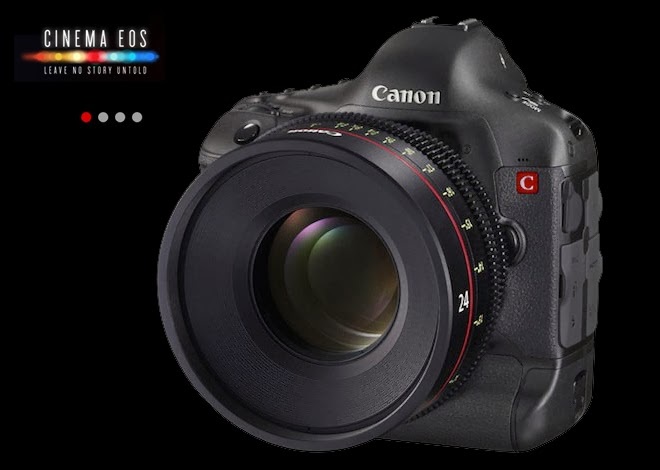 Canon suspended download services for the EOS C300, Firmware Version 1.1.0.1.00 that was posted on November 12, 2013 due to a discrepancy in color balance. 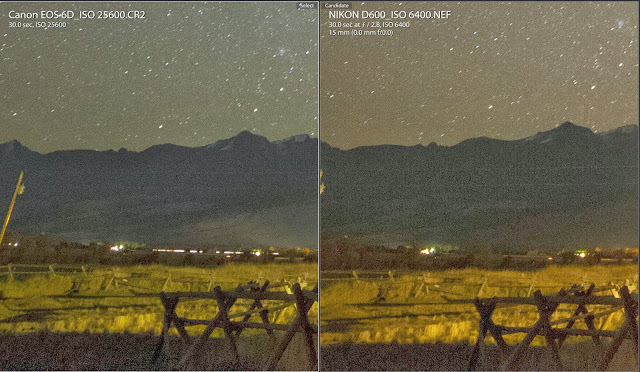 The new Firmware Version 1.1.1.1.00 corrects this color balance discrepancy. Any cameras that are running Firmware version 1.1.0.1.00 should be updated to Firmware version 1.1.1.1.00 Instruction Manual for the EOS C300 can be downloaded here. I lamented on Canon's current lack of direction and decisiveness in their new product strategy on my recent posts and suspect they are mired in a mode of 'lethargy and funk'. Now, apparently they have decided to stick to their core competency and concentrate on new DSLR bodies and EF lenses, unlike other camera manufacturers, who like to dabble in new technologies like mirrorless full frame sensor and retro looking bodies. Canon has called it a day for 2013 on new product announcement. The EOS-7D Mk II, EOS-M2 are two cameras that will come out in the first half of 2014. In addition, there will be about 6 new EF lenses making their debut next year. There may be a wide angle zoom coming, perhaps around EF 17-50mm f/4L with IS and the 35mm f/1.4L II may also be on the list. The EF 50mm f/1.4 IS II and the EF 100-400mm f/4-5.6L IS II are two lenses I am most interested in. In addition, there is word Canon will upgrade most of their non "L" lens and add IS to them. This may include the EF 85mm and EF 135mm as well. Keep checking back for more information. 2013 is a year of disappointment for Canon and I think they are happy it is coming to an end soon. "The Zeiss Distagon T* Otus 1,4/55 is the first of a new series of high-grade lenses from the maker optimized for the next generation of high-resolution DSLRs. This fast standard adopts the firm’s retrofocus Distagon type optical construction, a design previously only found on wide-angle models. It has a complex construction consisting of 12 elements in 10 groups, and features no less than six elements made from anomalous partial dispersion glass and one lens made with an aspherical surface. Although a manual focus design it has a ‘floating elements’ for close range correction and a minimum focus distance of 0.5m. While the Canon mount (ZE) version lacks an aperture collar like that found on the Nikon (ZF.2) it has CPU contacts for data exchange and electronic aperture control. 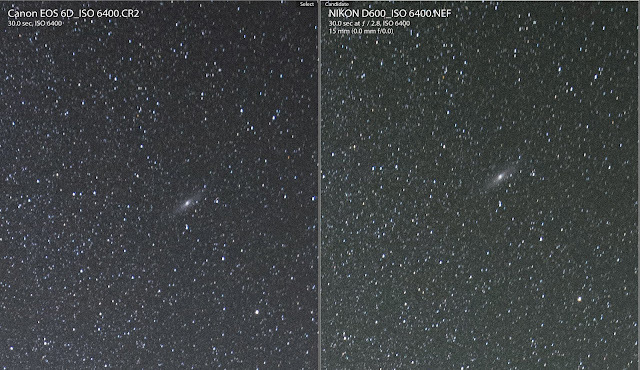 The result is a slightly longer (144mm vs 141mm) and heavier model (1030g vs 970g) than the Nikon mount version, although it measures the same 83mm at its widest point and retains the 77mm filter thread. The new 1,4/55 Otus is available for pre-order at $3,999 in Nikon and Canon mount only." Canon started the development of the EF 200-400mm f/4L lens over two years ago. When the Canon EF 200-400m f/4L IS official announcement came on May 14, 2013, I immediately put my order in even though the weight and price are higher than I have expected. The lens finally arrived and this hands-on review will not have charts, graphs and technical details. You can read that in Canon's announcement above. 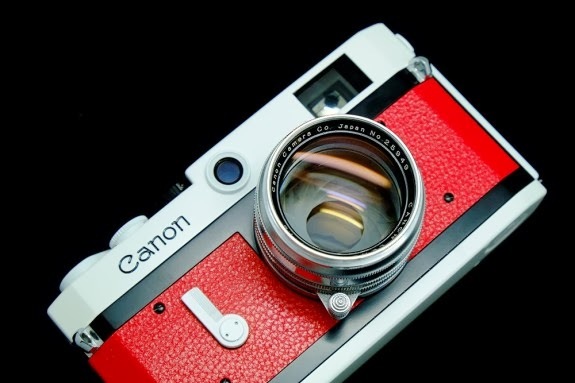 It assumes the reader already has a familiarity with Canon cameras and super telephoto lenses. All opinions and observations are my own and from the standpoint of a wildlife photographer out in the field. I am a wildlife photographer and have been using Canon equipment for almost twenty five years. 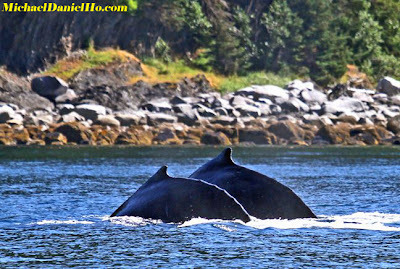 My subjects range from tiny Hummingbirds to Blue Whales, the largest animal on Planet Earth, ever. 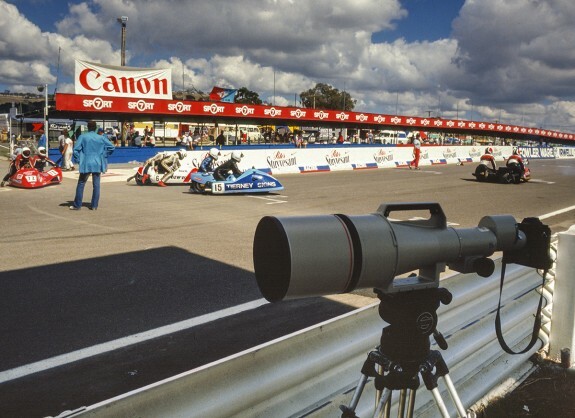 Over the decades, I have used and owned many L series prime, zoom and Super telephoto lenses. When the Series II versions of the Super Telephoto lenses came out in 2011, I refrained from upgrading until I have a chance to use the EF 200-400mm f/4L lens. Generally I am not overly excited by any new piece of Canon equipment, the Canon EOS-1D X was the last exception but this new lens carries all the promise of a zoom lens with a built-in extender, all packed into a Super Telephoto lens barrel. The most annoying thing about Canon's Super Telephoto lenses is their factory lens cap and the EF 200-400mm is no exception. I immediately substituted it with the Don Zeck lens cap. The DZ caps are on all my Super Telephoto lenses. My first impression of the EF 200-400mm is a rock solid, semi-large and heavy (7.98 pounds) but manageable lens. It measures 5 inch in diameter and 14.4 inch in length without the lens hood. The lens hood is interchangeable with the EF 400mm f/4 DO IS lens. Most of the controls are located at the rear of the lens - extender control lever, IS modes, focus modes, focus limiter and focus preset control. The lens takes 52mm drop-in filters, which are inserted in the rear of the lens via the included drop-in filter holder. Rubberized zoom and focus rings are on the lens barrel, the textured playback ring, and the front-most grip ring that incorporates four AF Stop Buttons. I have examined in detail the area where the extender control lever is located because this is a place where dirt may accumulate and moisture can seep into the lens out in the field. However, after having taken the lens to Africa and the high Arctic (hot and cold), I am comfortable the lever will stand up to field use provided regular cleaning is maintained. The front and rear lenses elements are fluorine-coated to repel water, dust and dirt. When used with the Canon EOS-1D X and Mk IV cameras, the package is weather-sealed and make cleaning easier on photo shoots. 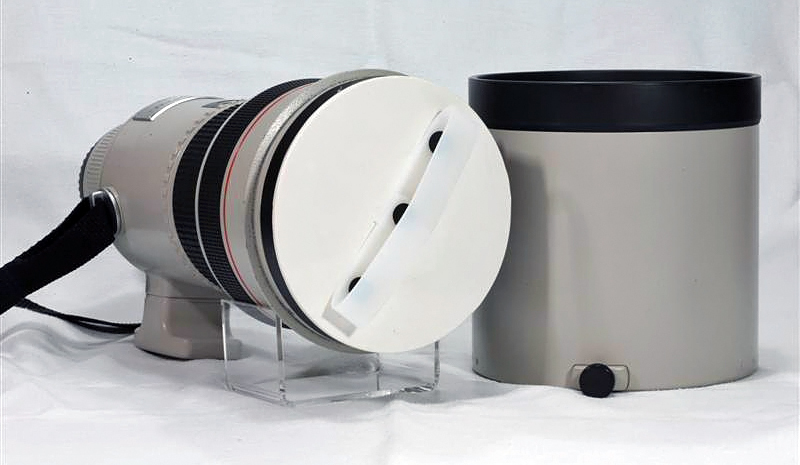 The built-in 1.4x extender is specifically designed for the lens and there are three IS modes, like all the other Series II Super Telephoto lenses. Mode 1 is for stationary subjects. Mode 2 is for panning subjects, like bird in flight. 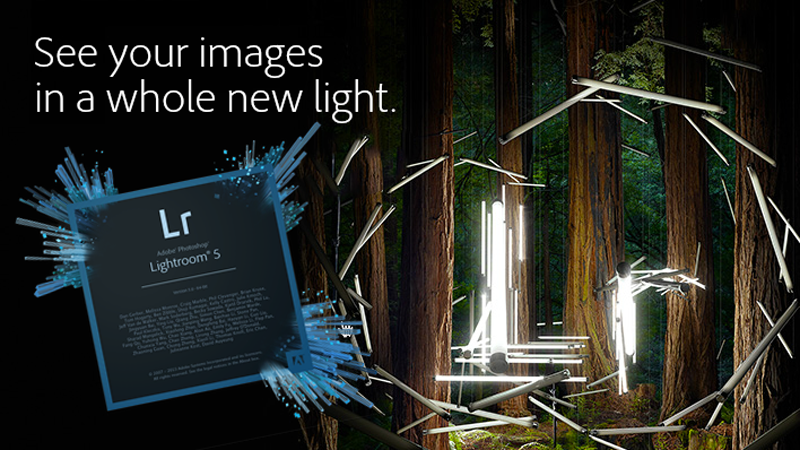 Mode 3 is only available on Series II super telephoto lenses. In Mode 3, IS sound can be detected when the shutter release is half-pressed, but the image is not stabilized until the precise moment when the shot is taken. When I use a Canon IS equipped lens, I always leave the IS on and set to Mode 1. To be honest, most of the time, I find there is a difference without a distinction between Mode 1, 2 and 3. After handholding and panning for so many fast moving wildlife shots over the years, I have developed a rather good technique for myself already. Hand-holding my camera and traveling light on photo shoots are my preference. Despite the weight of this lens and the EOS-1 camera (about 11 pounds), I am able to hand-hold (with proper technique) the combo for a short while even though I am of average height and build. When I do use support, my pick is the SLIK PRO 824 CF carbon fiber tripod and the SLIK SBH 550 ball head. SLIK equipment is the best value in my opinion and highly underrated. 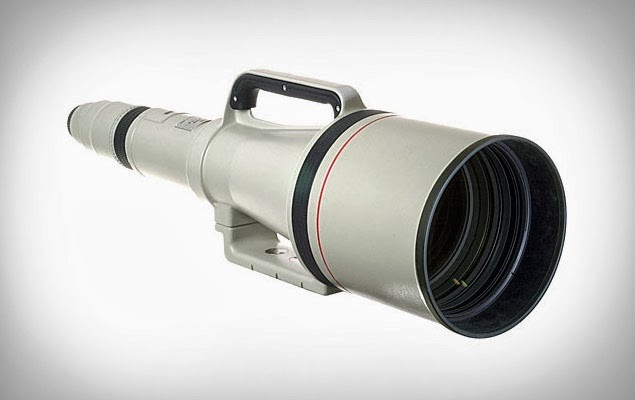 The combination weighs about 5 pounds and can support the EF 200-400mm f/4L lens plus the EOS-1 camera with ease. Visit my Equipment Bag page on my website to see all the gear I use on photo shoots. So far, I have taken the lens to Alaska, the sub and high Arctic and Africa to photograph Polar bears, Brown bears, the Big Five and other wildlife. The lens is rather cumbersome in bouncing zodiacs, small boats and jeeps but on a stable platform, it works flawlessly. Will be taking the lens to more locations worldwide in the next few months and putting it through further testing. You can see many more wildlife photos taken with the EF 200-400mm lens on my website and follow me on Facebook and Twitter to keep up with my travels and subscribe to my Blog for the latest news and development in photography. Canon has apparently struck a home run with the Dual Pixel CMOS AF Technology, most recently introduced in the EOS-70D camera, which has garnered raved reviews and wide spread acceptance. The EOS Cinema C100 camera will be the next camera to get this ground-breaking technology. Next, Canon is expected to introduced the Dual Pixel AF Technology to the rest of its EOS Cinema line and perhaps, even on the large sensor DSLR models as well. Before they can do that, the cameras will have to be supported by powerful processors, like a Dual DIGIC 6+, or perhaps the successor, the DIGIC 7. 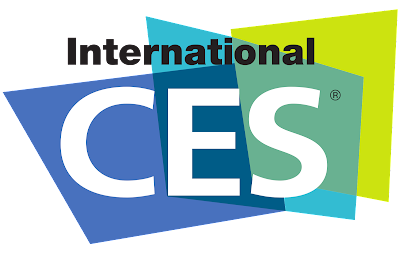 The Consumer Electronic Show (CES) starts January 7, 2014 in Las Vegas. Canon will be announcing new PowerShot cameras for the show as usual. Canon may be coming out of its funk and start the New Year by announcing two new cameras, the PowerShot SX60 HS, their big zoom range compact and the successor to the highly acclaimed PowerShot G1 X. The new G1 X may be equipped with an APS-C sensor and indicates a new direction for Canon's top-of-the-line PowerShot model. In the past, Canon has used CES as a platform to announce and showcase their new PowerShot models but no professional equipment introduction is expected although they are planning more EF lenses and DSLRs announcement later in 2014. Canon’s Student CPS Program is designed to offer an unrivaled level of sales and service support for studying Photographers, Videographers, and New Media Artists. By becoming a member of Student CPS, you will be eligible for a host of real world benefits designed to help and assist post-secondary Visual Arts, Fine Arts, and Applied Arts students in mastering their craft and achieving their career aspirations. I have been a member of CPS for many years and found them to be very informative and useful. Access to student-specific pricing discounts on a selection of professional products - view list in Program Details. Membership-exclusive promotions, discounts and contests. Subsidized incoming overnight shipping charges ($10) on eligible product. These charges will be added to the repair service charge. Return shipping is free for warranty repairs and a flat $10 fee will be charged for return shipping of out of warranty service. Expedited service turnaround target of 6 days. 20% discount for repair parts and labor for eligible products. Learn more by visiting Canon's Program Details Page and then apply for membership via the Application link. The 2014 Winter Olympics in Sochi, Russia starts in February. The Canon EF 100-400mm f/4-5.6L IS II prototype lens may make an appearance there. 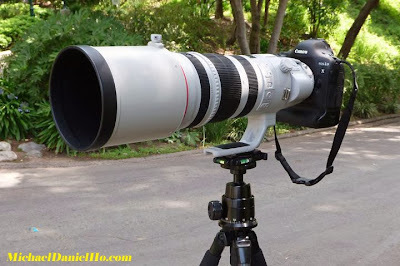 Now that the eagerly awaited EF 200-400mm f/4L IS USM Extender 1.4x lens has been officially released, attention has turned to Canon's other venerable 400mm lens. This is one of my favorite zooms in Canon's 'L' lens lineup. You can read my review of this lens here. I find that not to be a plausible scenario. 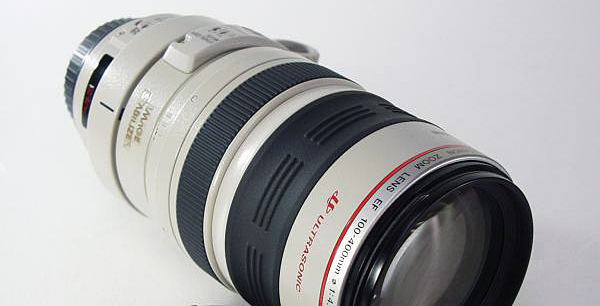 The Canon EF 200-400mm f/4L IS USM Extender 1.4x is an expensive ($11,799) niche lens. Not too many photographers will opt to buy this lens unless they have a specific need for it and have the funds to do so. I own this lens and you can read my review on it. 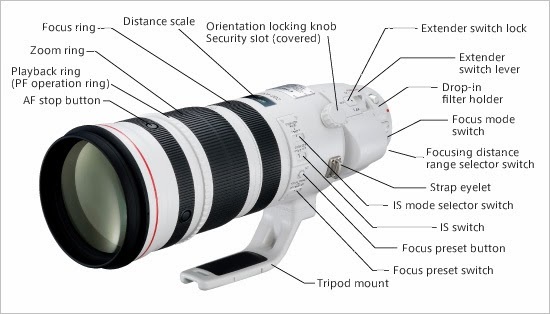 The EF 100-400mm f/4-5.6L IS II lens serves a very different purpose. As my readers know, I prefer to travel light and handhold my equipment while on photo shoots. The EF 200-400mm lens will be on the tripod or monopod most of the time while the EF 100-400mm II lens will offer me unmatched mobility and versatility. Cannot wait to get my hands on this replacement lens. Nikon recently announced their 80-400mm f/4.5-5.6 AF-S zoom lens to great excitement. 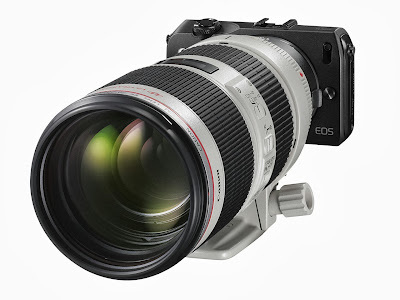 Hopefully, Canon will respond and announce the EF 100-400mm II in the second half of this year. 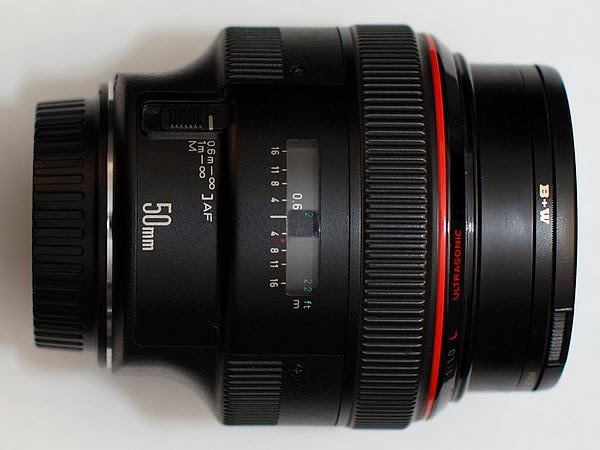 I expect the list price will be below $3,000, similar to the current EF 28-300mm f/3.5-5.6L IS lens. The push/pull design may be replaced by a zoom ring. Keep checking back for the latest information. 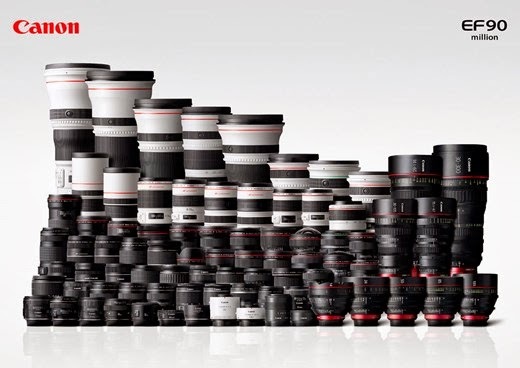 Canon makes some of the best and most unique lenses in the photography world. The EF 50mm f/1.0L, EF 1200mm f/5.6L and the EF 200-400mm f/4L IS come to mind. The first two lenses have long been discontinued and their prices have soared in the after market. 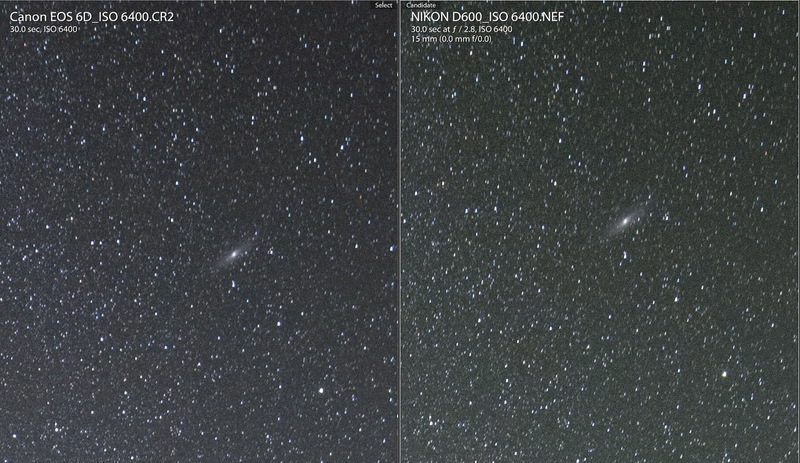 2014 will be a year for more great Canon Lenses coming. Dave Dugdale from Learning DSLR Video tested a factory Canon LP-E6 against a Watson LP-E6 after market battery. He found that the Watson may have a chip built in since his EOS-5D Mk III can register it and track the performance. Unlike the Canon manual, stating the battery can be recharged anytime, the Watson instructions says to recharge only when the battery is dead. This indicates the Watson battery has less charging cycles. In his tests a new Watson LP-E6 lasted 1 hour and 9 minutes while an one year old Canon LP-E6 battery lasted 1 hour and 28 minutes. One has to be careful when buying third party batteries and parts. Canon has a consumer page on their website discussing counterfeit accessories. Personally, I have bought third party batteries for my non EOS-1 camera bodies but I stick to very reputable companies. However, in the last few years, I have bought all Canon factory batteries because as a professional wildlife photographer going on frequent foreign trips, batteries and memory cards are so critical to a successful shoot. Extremely cold weather can affect the performance of batteries. When I was in the Arctic photographing wildlife in -20 degrees Fahrenheit temperature, I discovered the LP-E4N battery in my Canon EOS-1D X came through with flying colors. The 2014 Winter Olympics and the World Cup start in February and June respectively. This will give Canon a perfect platform to introduce their next flagship DSLR, the EOS-1 Mega Pixel Camera, sometime in the first half of 2014. Expect the prototype cameras to be spotted in these sporting events. Ever since the retirement of the Canon EOS-1Ds Mk III camera about two years ago, Canon has lost the mega pixel boasting rights to Nikon and the D4X is expected to come out some time in the first half of 2014. 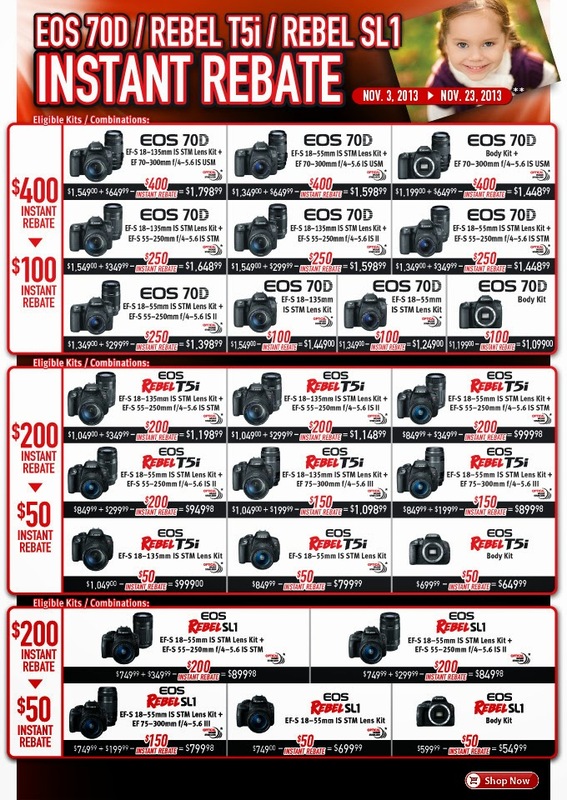 Canon is mindful of their misstep last time when they announced their EOS-1D X, only to be eclipsed by Nikon's D4 and D800 because they cannot get their shipments into stores until way after the Nikon cameras went on sale. In my last few posts on Canon's current 'lethargy' and 'funk', I commented on their lack of direction and decisiveness in their new product strategy. Now it seems they have decided to stick to their core competency and concentrate on new DSLR bodies and EF lenses, unlike other camera manufacturers, who like to dabble in new technologies like mirrorless full frame sensor and retro looking bodies. Canon has apparently called it a day for 2013 on new product announcement. 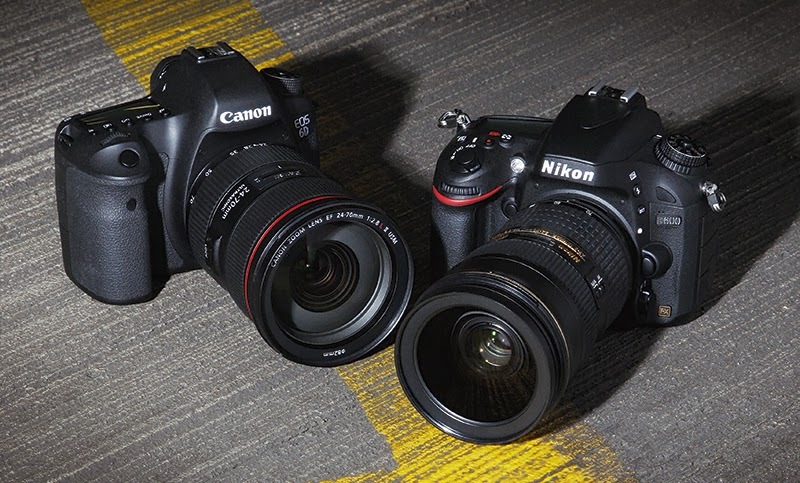 The EOS-7D Mk II, EOS-M2 are two cameras that will come out in the first half of 2014. In addition, there will be about 6 new EF lenses making their debut next year. There may be a wide angle zoom coming, perhaps around 17-50mm f/4L with IS and the 35mm f/1.4L II may also be on the list. The EF 50mm f/1.4 IS II and the EF 100-400mm f/4-5.6L IS II are two lenses I am most interested in. There is little revelation right now except the general expectation but keep checking back for more information. 2013 is a year of disappointment for Canon and I think they are happy it is coming to an end soon. Dan Chung, Newsshooter's Editor interviewed Mr. Yoshinari Onda, the Canon Cinema EOS global product manager at the Inter BEE 2013 gathering recently. Mr. Onda is in charge of the Canon Cinema EOS line since the beginning, in the video he gives some insights about the development of the EOS C100, EOS C300, EOS C500, and EOS-1D C cameras. The video below shows how the Dual Pixel CMOS AF works on the EOS C100. Canon is offering a paid upgrade for the EOS C100 in order to have the ground-breaking Dual Pixel AF on board. The video below shows how the Dual Pixel AF performs on the C100. If the Dual Pixel AF on the C100 is beyond your reach, the Canon EOS 70D camera offers the same innovative auto-focus technology. MELVILLE, N.Y., November 14, 2013 – Canon U.S.A., Inc., a leader in digital imaging solutions, is proud to announce that for the fifth consecutive year it has earned the Center of Excellence certification by BenchmarkPortal, placing its customer support center in the top 10 percent for efficiency and effectiveness. The Center of Excellence distinction is based on objective comparison to key performance indicators from the world’s largest database of contact center metrics that is audited and validated by researchers from BenchmarkPortal. “The Canon Technical Support Center continuously strives to go above and beyond, and deliver 100 percent U.S.-based customer service by optimizing the support of our staff, processes and technology,” said Leroy Farrell, vice president and general manager, Engineering Services and Solutions Division, Canon U.S.A. “Earning this certification for the fifth year in a row truly demonstrates our commitment to providing a high level of customer service to our valued customers. The Technical Support Center provides advanced support services to the Company’s vast network of direct and non-direct sales channels covering a wide range of products and solutions, including the Company’s imageRUNNER ADVANCE, imagePROGRAF, VarioPrint and imagePRESS product lines. 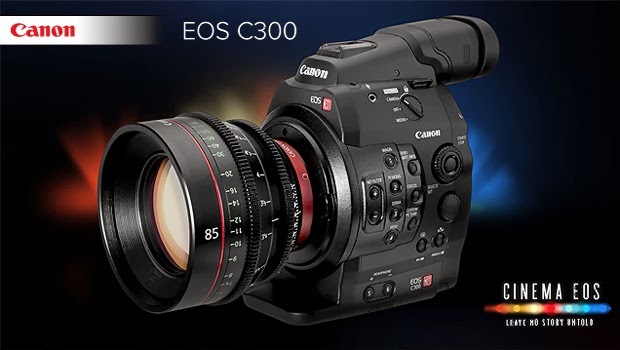 Attention : Canon EOS C300 and C300PL Cinema EOS Camera owners. We have suspended download services for Firmware Version 1.1.0.1.00 that was posted Tuesday November 12, 2013 at 8PM EST, because it has been determined that discrepancies in color balance can occur with footage captured by the EOS C300 and EOS C300PL running Firmware Version 1.1.0.1.00. We are preparing new firmware with a fix for this issue. If you have updated your EOS C300 or EOS C300PL firmware to version 1.1.0.1.00, Canon will restore the camera’s firmware version to 1.0.9.1.00 for any EOS C300 or EOS C300PL camera running firmware version 1.1.0.1.00. Please contact the Canon Customer Support Center in your region for further details. Firmware update, Version 1.3.4 is available. As with previous firmware releases for the EOS-1D C, it cannot be downloaded and installed on your own. Instead, you have to send in your EOS-1D C to an authorized Canon service center. *1) EOS Utility Version 2.13.25 (or later) is required to upload the correction data to the camera. The latest update for this software can be downloaded from our web site. *2) Does not apply to Canon EF Cinema zoom lenses CN-E 14.5-60mm T2.6 L S and CN-E 30-300mm T2.95-3.7 L S.
2. A line-level audio input accepting a mini 3.5mm connector has been added. 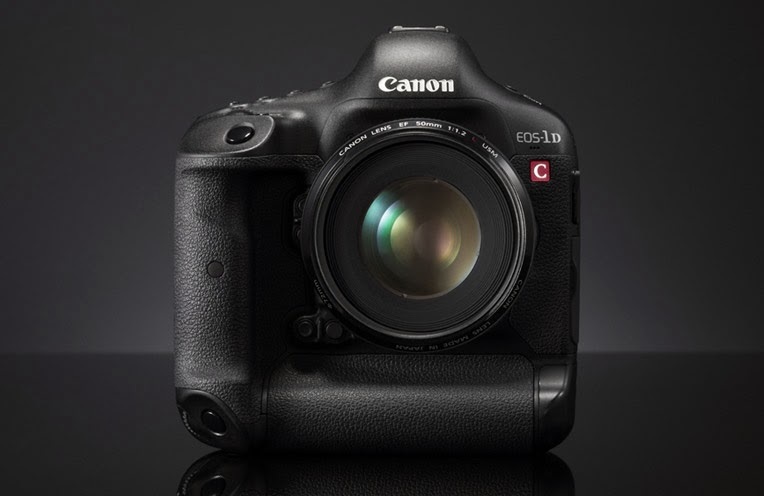 Canon EOS-1D C Cinema EOS Camera with Firmware Version 1.2.0 or earlier. 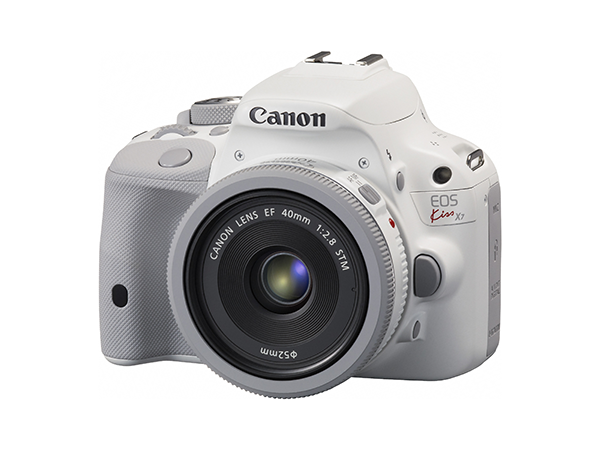 Canon has released a white version of the EOS Kiss X7 camera in Japan, available on November 28, 2013. It is essentially the same camera as the Rebel SL1/EOS 100D camera in the rest of the world. I suppose if Apple finally released iPhones in all different colors, why should Canon not follow the leader in consumer marketing? I am glad 2013 is coming to a close and looking forward to a renewed Canon in 2014. "In recent years, the need for smaller and lighter to entry for digital single-lens reflex camera is growing even more. To respond to this, Canon was launched in April 2013 while maintaining a high level of basic performance, realized the body of the world's smallest and lightest "EOS Kiss X7". Compact and lightweight body of "EOS Kiss X7" [size: Approximately 116.8 (W) × 90.7 (height) × 69.4 (depth) mm, Weight: about 370g (body only)] is to carry easily, athletic meet and travel I get a favorable reception from wide range of customers to be able to enjoy a full-fledged shooting in a variety of scenes such as. This time, I will release "(white) EOS Kiss X7" white body for the first time as a digital single-lens reflex camera of Canon. By the body compact, lightweight "EOS Kiss X7", is subjected to a white paint high quality with reduced luster, while maintaining a sense of quality suitable for single-lens reflex camera, I finish the design light feeling becomes more attractive and more. "EOS Kiss X7 (White)" and "F3.5-5.6 IS STM EF-S18-55mm" standard zoom lens, I finished in the same color as the body single focus lens "EF40mm F2.8 STM (White)" is, of I will sell ? 2 in the commodity composition of double lens kit. I realize the design with a sense of unity and a feeling of size with excellent mobility and more by the combination of the EF lens series thinnest and lightest and body "EF40mm F2.8 STM (white)"
In addition to the EF-S18-135mm f/3.5-5.6 IS STM, the function to enable continuous focusing and correct aperture on a subject in the middle of the screen when one of the two EF STM lenses is attached, has been extended to include the EF-S18-55mm f/3.5-5.6 IS STM lens. Support for a 1440×1080/35Mbps recording mode. Using the optional Canon WFT-E6 Wireless File Transmitter, the camera’s remote-control application allows two users to access the same unit via a Wi-Fi® link providing simultaneous camera operation and control and metadata input. [Lens Exchange] and [ND+/ND-] have been added as functions that can be allocated to any assignable button. A new Wide DR Gamma setting provides an expanded dynamic range of 800%*. Provides Push Auto Iris and One-Shot AF operation has been added. Ability to assign the two control dials to operate either Iris or ISO sensitivity independently. 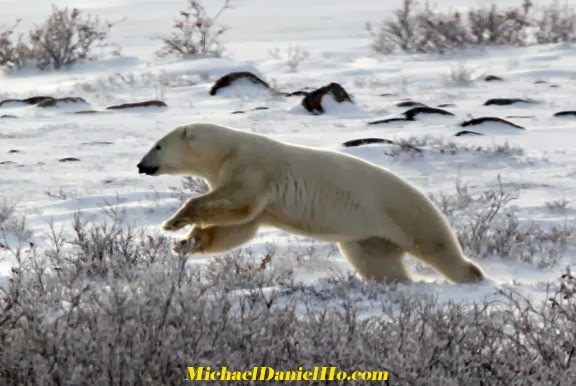 I am back from my Polar Bear photo shoot in Hudson Bay. 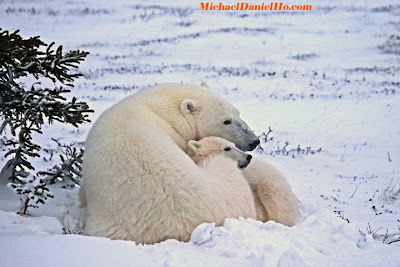 The Polar bear is the largest living land carnivore, with adult males growing up to over 8 feet in length and some weighing close to one ton. The largest bear ever recorded weighed in at 2,300 pounds. Females are about half the size of males, although a pregnant female with stored fat can exceed 1,000 pounds in weight. Polar bear cubs weigh about 2 lbs at birth. They look similar in appearance to adults, though they have much thinner fur. There are five nations where Polar bears are found - United States, Canada, Norway (Svalbard), Denmark (Greenland) and Russia. The furthest south Polar Bears are found year round is James Bay in Canada, which is about the same latitude as London. 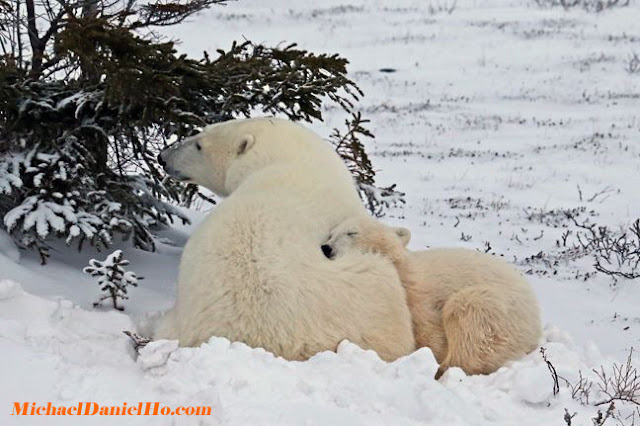 During the winter, when the ice extends further south, Polar bears move as far south as Newfoundland and into the northern Bering Sea. The US has the fewest Polar Bears and Canada has the most. The best global estimate of their population is about 20,000 to 25,000. They are the most endangered bear species due to the warming of the Arctic region, especially during the summer. Although their numbers are declining, the US, Canada and Greenland still hunt Polar Bears 'legally' while illegal poaching exists in Russia and Norway. The 'legal' hunting is 'regulated' by quotas given to indigenous people but they can also sell their quotas to big game hunters for $30,000+ per bear. The quotas is almost certain to be exceeded due to the high profit and remote locations of many indigenous towns and enforcement is next to impossible. The most vulnerable Polar Bear population resides in southern Hudson Bay. The ice has been melting earlier and forming later for quite a few years now. This compresses the Polar Bear feeding season into about 6 months. Without solid ice, the bears cannot hunt seals and they will not be able to survive and rear their young. A breeding female can raise about 7 to 8 cubs to adulthood in her lifetime if conditions are favorable. Human/bear encounters are also on the rise in southern Hudson Bay. This often leads to fatality for the bears and their population is already on a declining rate. 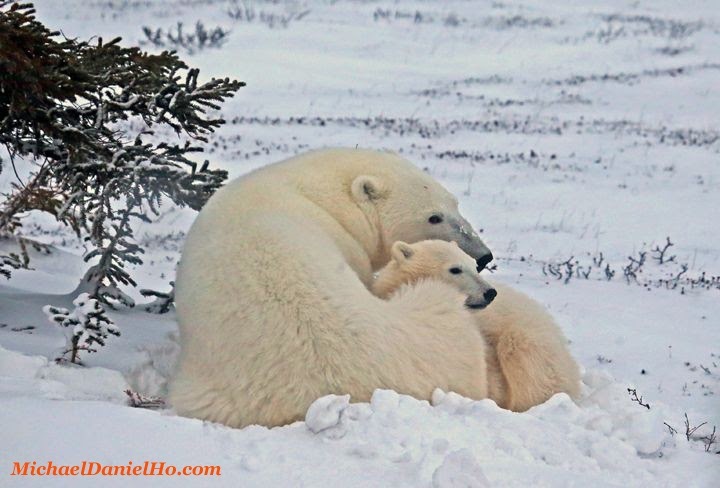 This is one of my more memorable trips to Hudson Bay and I have encountered more mothers with cubs this time. I also came across a seal kill as well. The Polar Bears' condition look alright from my observation but I am not a wildlife biologist. Their fast is ending very soon because the ice is forming rapidly by the bay. Soon they will be able to go on the ice and start feeding but the environment is still under threat and their future is by no means secure. Visit my website to see many more photos from my previous photo shoots. 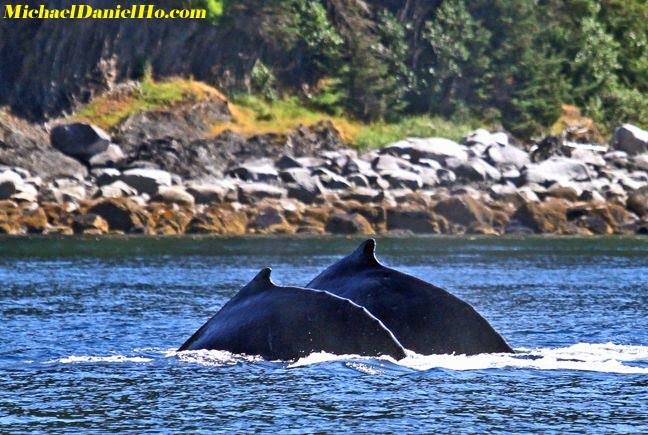 For more posts on photographing other wildlife, you will find Elephants, Hummingbirds, Bengal tigers, Killer whales and Blue whales adventures here. I have been a wildlife photographer for 25 years using Canon gear. 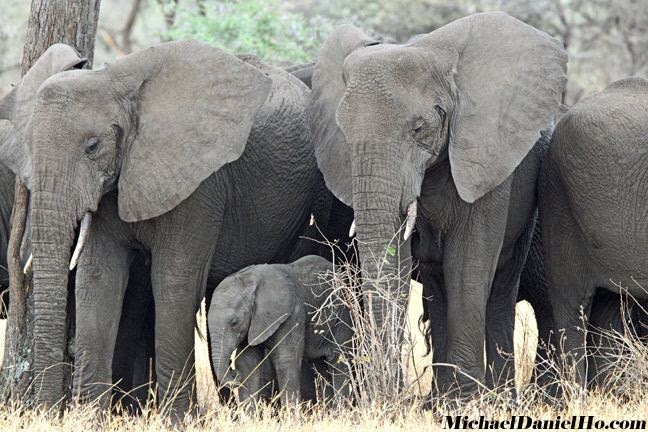 You can read my FAQs on wildlife photography, see my equipment bag and my works on MichaelDanielHo.com. You can also follow my travels on my blog, Twitter, Facebook and Instagram. In my last few posts on Canon's current 'lethargy' and 'funk', I commented on their lack of direction and decisiveness in their new product strategy. Now it seems they have decided to postpone all new product announcements until 2014. Canon may have called it a day for 2013. 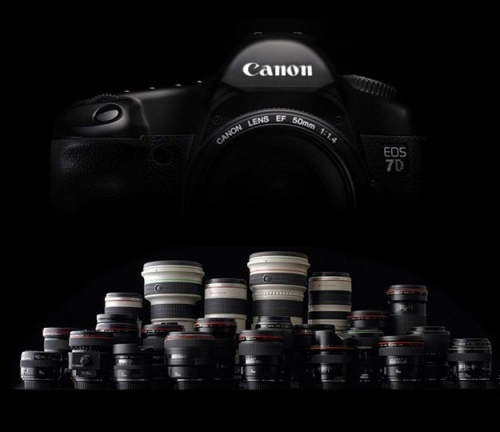 The EOS-7D Mk II, EOS-M2 are two cameras that will come out in the first half of 2014. In addition, there will be about 6 new EF lenses making their debut next year. The EF 50mm f/1.4 IS II and the EF 100-400mm f/4-5.6L IS II are two lenses I am most interested in. There is little revelation right now except the general expectation but keep checking back for more information. 2013 is a year of disappointment for Canon and I think they are happy it is coming to an end soon. TOKYO, Japan, November 12, 2013 — Canon Inc. today announced that the EOS-1D C digital SLR camera, part of the company’s Cinema EOS System lineup of digital cinematography products, has been independently tested in accordance with European Broadcasting Union (EBU)1 standards for HD content acquisition.2 The tests found that the EOS-1D C is the first digital SLR camera to satisfy the stringent testing criteria for HD production. Additionally, an enhanced version of the EOS-1D C’s dedicated EOS MOVIE Utility software for Macintosh5 and Windows,6 scheduled to be made available free of charge in late December, adds a Mac-version video playback function and the ability to capture consecutive still images from a video file. MELVILLE, N.Y., November 6, 2013 – As motion picture, television and commercial production continues to transition to ever-higher resolution digital video and CGI (computer graphic imaging) formats, color-grading and postproduction professionals increasingly rely on reference displays with exceptional detail, color and gradation accuracy. Developed in response to this trend is the new DP-V3010 4K Reference Display from Canon U.S.A., Inc., a leader in digital imaging solutions. The Canon DP-V3010 4K Reference Display measures 30 inches wide diagonally by 7.4 inches deep to help minimize space requirements and provides a 2000:1 DCI-compliant contrast ratio, uniform brightness, very wide viewing angles in all four directions, internal color calibration and additional advanced features. Designed for use in color-grading, digital intermediate (DI), CGI/animation/visual effects (VFX), and editing/finishing suites, as well as digital imaging technician (DIT) workstations on production stages and on-location "video villages," the Canon DP-V3010 4K Reference Display provides full-screen 4096 x 2560 resolution with extremely high levels of color accuracy and fidelity. "We are proud to continue the Canon tradition of providing our customers with complete solution technologies, providing them the option to work within a Canon ecosystem from input through output, and maintain the quality and reliability of our brand," noted Yuichi Ishizuka, executive vice president and general manager, Imaging Technologies & Communications Group, Canon U.S.A. "These displays are the result of the enthusiastic response we received to the Canon Cinema EOS System of cameras and lenses, and we look forward to continuing to demonstrate our commitment to these markets with outstanding technology, quality and reliability to help creative professionals deliver and tell the stories as they envision them." The DP-V3010 4K Reference Display features a 16:10 aspect ratio for the display of video signal information essential to VFX creation. With a tightly packed "pixel pitch" of 157.5æm, the Canon DP-V3010 4K Display provides high-accuracy tonal gradations between darkest and brightest areas, with 1024 shades in each color channel. The technology enabling such performance is a new and proprietary display engine developed by Canon that helps maximize color accuracy and brightness uniformity. The actual panel employed by the DP-V3010 4K Display is an IPS (in-plane switching) LCD with full array RGB LED scanning backlight technology that delivers excellent color accuracy, and crisp video imagery without the perception of motion blurring between frames. By featuring an IPS LCD panel with polarizing and filtering film layers to prevent changes in color and contrast, the DP-V3010 4K Reference Display enables image viewing within a wide viewing angle, top to bottom and left to right. The Canon DP-V3010 4K Reference Display is compatible with the five major color gamut standards - SMPTE-C, EBU, ITU-R BT.709, DCI, and AdobeRGB - as well as conforming to DCI standards for 4K display. These DCI standards include a 2000:1 contrast ratio, which the DP-V3010 4K Reference Display evidences in its faithful reproduction of detail in the shadows and accurate highlights. 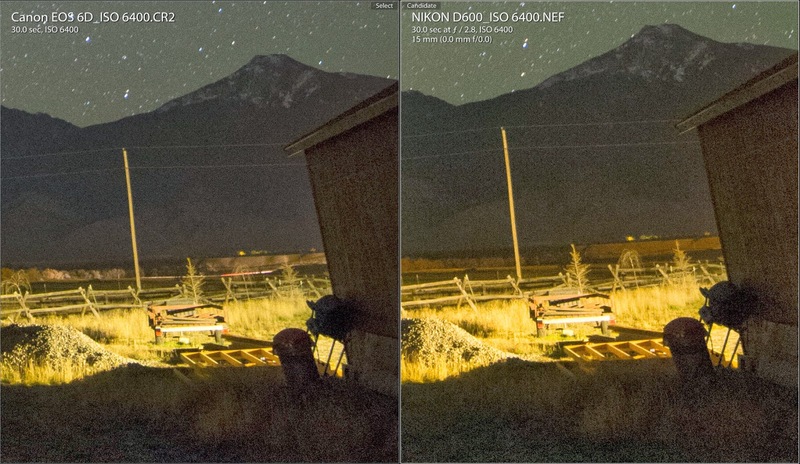 This high contrast accuracy is essential for critical assessment and mastering of high dynamic range cinematic imagery. Also supported by the Canon DP-V3010 4K Reference Display is the ASC CDL (American Society of Cinematographers Color Decision List) format. The display controller provided with the DP-V3010 4K Display includes a dedicated CDL button. Color settings made at the shooting location can be stored on a USB flash drive and imported into the user's color-grading system, which can then relay color correction parameters directly to the DP-V3010 4K Display in the ASC CDL format using slope, offset, power, and saturation parameter adjustments to the overall RGB image and/or separately to the individual R, G, and B channels. The importation of LUT (Look Up Table) data created by third-party color-grading systems is also supported by the DP-V3010 4K Reference Display. The Display allows both 1D and 3D LUTs to be easily imported by operating the menus of the unit itself. This enables accurate color matching between displays and the ability to import customized "looks" created in third-party applications. In this way, the unique colors and gradations intended by producers can be easily reproduced. Ready to support the wide dynamic range of Canon Log gamma video data recorded by the popular Canon EOS C500 and EOS C300 Cinema cameras, the Canon DP-V3010 4K Reference Display also comes pre-installed with the Cinema EOS Canon Log viewing LUT allowing those cameras to be integrated with the DP-V3010 4K Display for linear conversion and display in real time. Furthermore, using 1D/3D-LUT data, the display will be able to provide support for ACESproxy output from Canon's EOS C500 digital cinema camera. 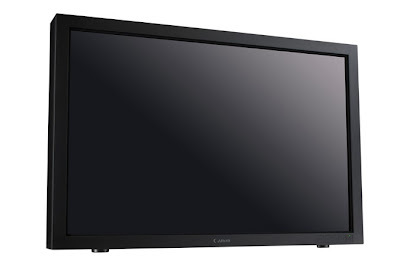 A wide variety of the full HD video production format resolutions, typically used for TV dramas, commercials and other TV content, can also easily be displayed by the new Canon DP-V3010 4K Reference Display. To accommodate HD formats, the DP-V3010 Display offers upscaling modes offering smooth and accurate rendering up to 4K resolution of DCI 4K (in up to 12 bit 4:4:4 color), 2K, 1080p, 1080i and 720p. Inputs include 3G-SDI, HD-SDI and DisplayPort connectors for compatibility within many different production, post and VFX workflow environments. Each Canon DP-V3010 4K Reference Display undergoes high-precision calibration before shipment to help ensure high color uniformity between all units. Color accuracy is further improved by the Canon DP-V3010 4K Display's control system, which continuously monitors internal conditions of the display which might affect color, uniformity and performance accuracy, like heat or aging of internal components and make corrections to help ensure long-term image stability and exceptional color consistency. External calibration of the Canon DP-V3010 4K Reference Display can be performed without the need for a dedicated PC application through the use of a third-party spectroradiometer. Use of such an external sensor allows users of the DP-V3010 Display to maintain factory calibration settings as well as help adjustment for specific display applications or account for variations in ambient lighting. The DP-V3010 Display features an easy-to-navigate on-screen display that can be controlled using the included display controller. Built-in carrying handles allow the display to be easily transported and positioned on top of a desk or a counter, or attached to a VESA-compliant bracket for easy wall or rack mounting. The accompanying display controller is designed to be used as both a desktop control device or to be rack-mounted for easy integration into suites, control rooms or mobile vehicle applications, such as HD sports production trucks. Markers, time code display and test patterns are provided within the Canon DP-V3010 4K Reference Display. A variety of markers (aspect, safety zone, grid, and center) and test patterns (pluge, grayscale [20%], white, five-step, ramp, color bars, and black) are also built into the DP-V3010 Display. The Canon DP-V3010 4K Reference Display is scheduled to be available in the first quarter of 2014 for a suggested list price of $40,000.